In August 2008, fifteen students and four faculty moderators joined together with the common goal of creating a new student leadership organization. The Student Leadership Reform Committee (SLRC) met, analyzed, and debated various aspects of this prospective organization over the course of a seven-month time period. Their committed efforts resulted in the ratification of the Student Leadership Council Constitution in a ceremony on February 13, 2009. With unanimous consent by all fifteen members of the SLRC, the school's administration empowered the Student Leadership Council (SLC) to lead the student body in achieving a variety of ambitious goals. 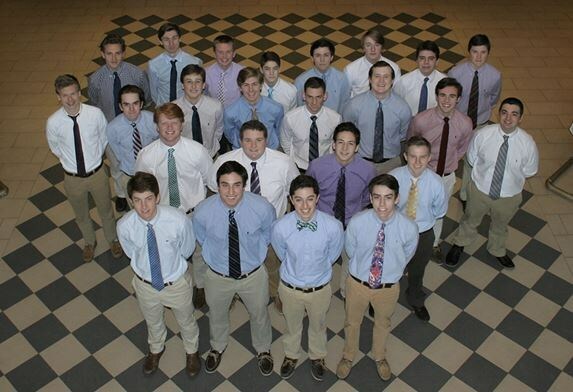 Since its inception, the SLC has taken the leadership role in enhancing the student experience by creating a cooperative partnership of shared governance with the faculty, staff, and administration, promoting school spirit and fostering a common interest in school activities, advancing the highest ideals of brotherhood and unity within the school community, and upholding the Catholic values and Lasallian mission of this educational institution.